Mr. Arafat is dedicated to focus on the epidemiological aspects of mental health disorders. He has MD in Psychiatry from Bangabandhu Sheikh Mujib Medical University, Bangladesh. He did Bachelor of Medicine and Bachelor of Surgery (MBBS) from the Dhaka Medical College. He also holds MPH and MBA. Currently, he is working as Assistant Professor of Psychiatry at CARe Medical College. 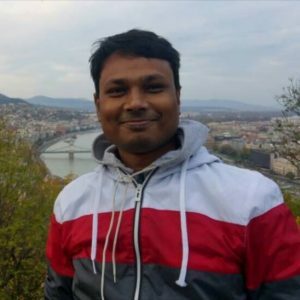 Mr. Arafat is an early career member of International Association for Suicide Prevention (IASP), Trainee Member of World Psychiatric Association (WPA) Epidemiology and Public Health Section, and life member of Bangladesh Association of Psychiatrists. Mr. Arafat has contributed over 100 peer reviewed articles and two book chapters. He is acting as Editorial Member of 10 international peer-reviewed journals. He is a regular reviewer of journals of renowned publishers including Elsevier, BioMed Central, Plos, & Wiley.